With the talent she developed, she moved back to the Louisville area and, in 2010, started working as a bartender at Martini Italian Bistro. 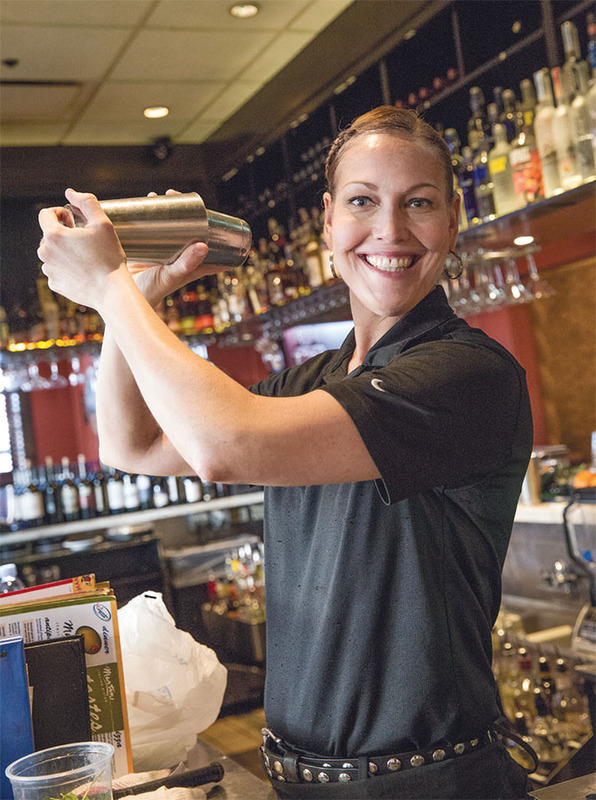 She’s been the head bartender there for the last four years and attributes much of her recent success to her mentors Gary Gruver and Jim Davis. It was those mentorships that helped Colleen make the jump from bartender to mixologist. Most notably, Colleen is a repeat winner of the Four Roses Bourbon Rose Julep Cocktail Competition, where creative mixologists put their own spin on the Mint Julep. In her first year, 2015, Colleen swept both categories — Judge’s Choice and People’s Choice. In 2016 and 2017, she won first place in People’s Choice. Four Roses then asked her to compete in the Kentucky Bourbon Festival in Bardstown, Kentucky. She won Grand Champion in 2017, competing against other top mixologists representing a plethora of Kentucky’s famous distilleries.